How to watch Ain't Them Bodies Saints (2013) on Netflix Argentina! 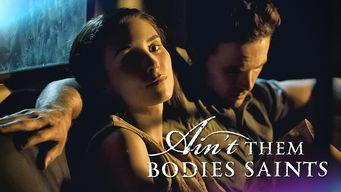 Yes, Ain't Them Bodies Saints is now available on Argentine Netflix. It arrived for online streaming on October 7, 2017. We'll keep checking Netflix Argentina for Ain't Them Bodies Saints, and this page will be updated with any changes. After escaping prison, Bob Muldoon begins a search for his girlfriend and young daughter, but their reunion doesn't go as planned. For a convict on the lam from the law, reconnecting with his family could turn out to be a fatal mistake.